Located on the turquoise waters of Cabarete Bay and just a short ride away from Puerto Plata, the picturesque beach destination of Cabarete in the Dominican Republic combines the best of both beach relaxation and island adventure. Visitors looking to enjoy some rest and relaxation can soak up the warm Caribbean sun by one of the many golden sand beaches where they can watch surfers race across the water or sip on a refreshing drink under a shady palm tree. The area is a water sports lover’s dream with the best kitesurfing and windsurfing conditions on the island, where a number of professional kite surfing championships have been hosted. 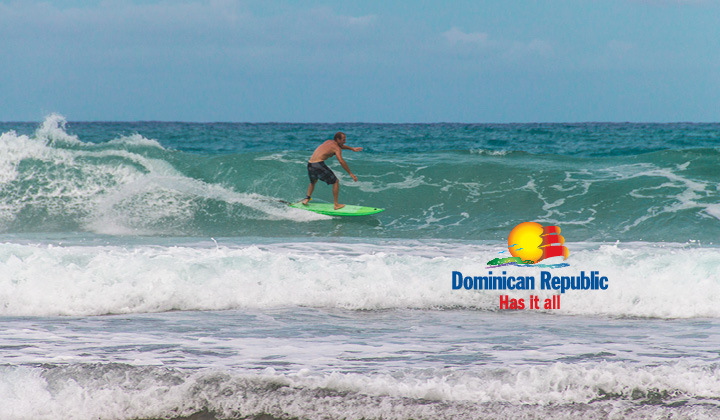 Playa Encuentro, one of the best surfing sites in the Caribbean is located just minutes away from Cabarete where both beginner and professional surfers can catch a wave. At the end of the day, visitors can head into town to enjoy the vibrant nightlife and enjoy traditional Dominican meal, dance to lively Latin rhythms at a local disco and test their luck at the casino. What to pack: Don’t know what to bring? Don’t worry. Click here for a full checklist to print and refer to when packing for your all-inclusive vacation in Cabarete. What to buy: Don't forget to bring home some of the most popular souvenirs in the Dominican Republic: hand-rolled cigars, coffee, chocolate and Mamajuana (a Dominican drink with a mix of rum, red wine, and honey soaked in tree bark and herbs).